So here’s a very fun tool. 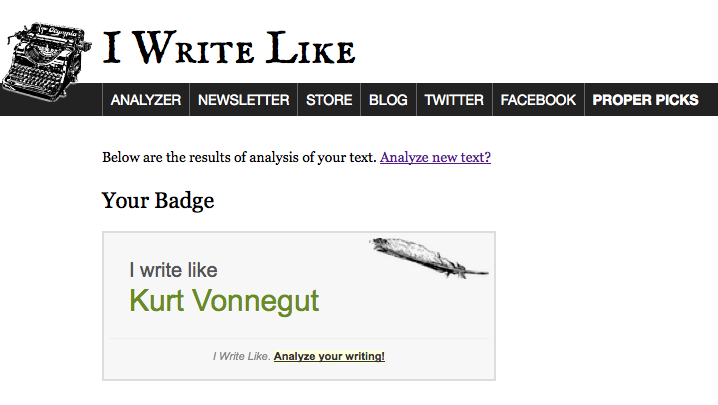 I Write Like analyzes “your word choice and writing style,” then compares it to the writing of famous authors. How many authors are in the IWL database? 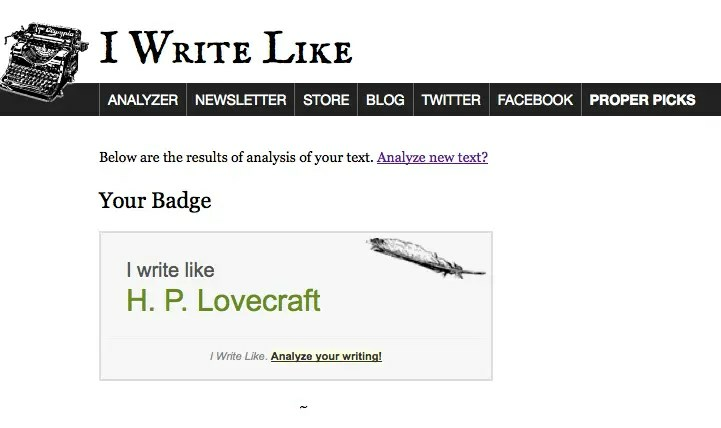 How many of the famous authors’ texts have been analyzed? I have no idea. But there was enough data to give me three different results from three different texts. When comparing a block of text from this post. Ah….there we go. This was the result when I entered text from this, the most popular post on my site. I honestly don’t see the similarities at all, but who am I to argue with an algorithm?